Most interesting is the tension between the developing weed market and the federal government, who still considers pot a Schedule I drug, along with heroin, LSD, ecstasy, meth and peyote. (Despite the fact that it’s legal in some form or fashion in 46 states and can serve as a major stimulant to the economy.) Frighteningly enough, the Justice Department is currently run by an Attorney General (former Alabama Republican Senator Jeff Sessions) who’s long been a vocal opponent of the legalization movement and considers weed every bit as bad as the company the DEA has it keep. So while a majority of researchers, entrepreneurs and health professionals are attempting to redefine what weed (and other drugs such as MDMA, acid and ketamine) can do to both improve our lives and mental health (including ween us off the opiates Americans have become addicted to in dangerous numbers), a powerful group of holdouts — emboldened by a combination of inertia, stigma and puritanism — are attempting to slow (if not outright stop) that change. It’s an evolution, though, that seems inevitable, no matter the amount of moral panic surrounding it. Thus, as 40 million people are about to have roughly the same access to weed as they do beer, wine and booze — and more and more studies are having us consider using MDMA or ketamine for depression and anxiety rather than Prozac or Zoloft — we sought out a number of progressive voices and experts in the realm of narcotics to help us investigate the state of drugs in the U.S. This much is clear: The sooner we forget everything we think we know about drug use, the sooner we’ll be able to truly medicate what ails us. MedMen, an influential cannabis management company founded in 2010, is known for its visuals as much as its vision. In stark contrast to most dispensaries, the places MedMen manage have exposed windows and free-standing security kiosks. There’s no velvet rope or dramatic curtain creating distance between the consumer and the product. And most importantly, you walk right in without the grating buzz of a security door. The freezer case of edibles looks like an aisle at Whole Foods, and employees function as personal shoppers for each patient, narrating product descriptions and providing need-based recommendations as they guide customers around the space. Sounds more like a “retail experience” than a headshop, right? 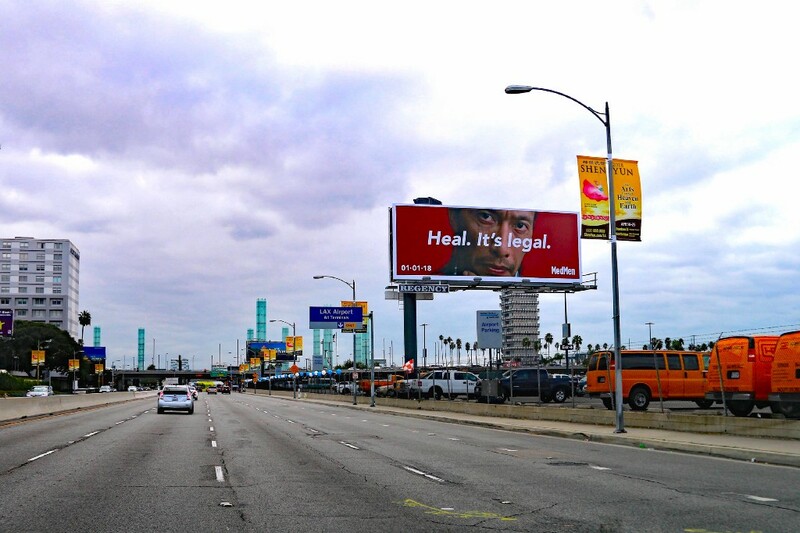 MedMen has positioned itself as the authority when it comes to making weed mainstream. 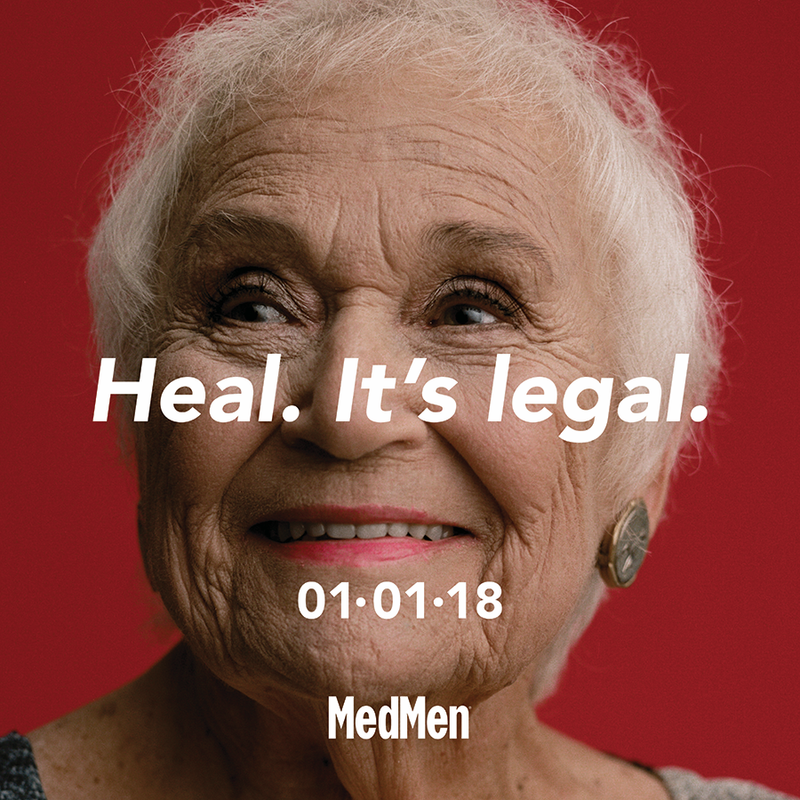 As of June, MedMen has raised more than $60 million for its investment fund, according to its filing with the SEC, and through a second fund, they’ve now secured funds beyond their initial $100 million goal. Yi: In California, businesses are still going to need two levels of licenses — a state license to operate legally in California and a municipal license at the county or city level. 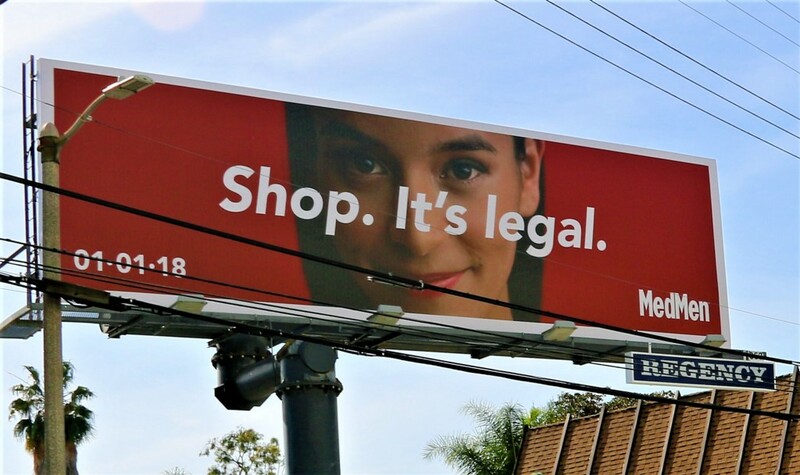 For example, cities like Beverly Hills and Irvine aren’t going to allow any kind of cannabis business within their boundaries. So the regulatory landscape is going to be a mix of things — and it’ll depend on where you are. At our West Hollywood store, though, this is how it’s going to work: If you’re 21 and you can prove it with a valid ID, you can walk in and buy up to a certain amount of marijuana. I believe it’s 1 ounce of flower and whatever the corresponding amount of that would be for others. As a result, I don’t think it’s an overstatement to say that L.A. will soon be the world capital of the cannabis industry. By some estimates, the metropolitan area of L.A. already is a $1 billion market. Unfortunately, a lot of that is in the illicit area, but it’s going to become more regulated and legal as we move forward. As a business, we’re looking at this in broad strokes and working out the details as we go. For at least the first six months of 2018, there will be a lot of adjustments — things we need to adjust on paper as they play out in real life. The first step has already been taken—a government agency, The Bureau of Cannabis, has been created to oversee the pot industry in the state. That means you now have a place to go in and say that you want to sell, cultivate or transport pot legally and find out how to do so from the state. Weed is a controlled substance. It’s not coffee or milk. So it needs to be regulated. Hyper-commercial weed comes with a cost though. Basically, as the cannabis industry becomes increasingly regulated, the price of weed will increase for everyone but medical patients. Yi: In terms of the people who complain that their eighth of OG Kush will cost $45 instead of $15 — yes, it’s $45 because the state is now charging a 15-percent excise tax. There will be a sales tax, too, so it’s going to get even more expensive than that. You do, however, get something for that money. The state had to create a whole infrastructure to make sure that the pot is lab-tested and that there isn’t any pesticides or mites in it. Do you have any assurance that’s been done if you’re paying $15 for an eighth from your street corner guy? No. Adam Bierman, the CEO of MedMen, and Andrew Modlin, our president, decided on this journey in 2010. Prior to that, they owned a full-service boutique marketing agency. They got hired by a medical marijuana dispensary, and that’s when they saw a business opportunity. To that point, the people running the industry were marijuana experts, not necessarily business experts. So you had this multi-billion dollar industry that didn’t have a lot of business practices. 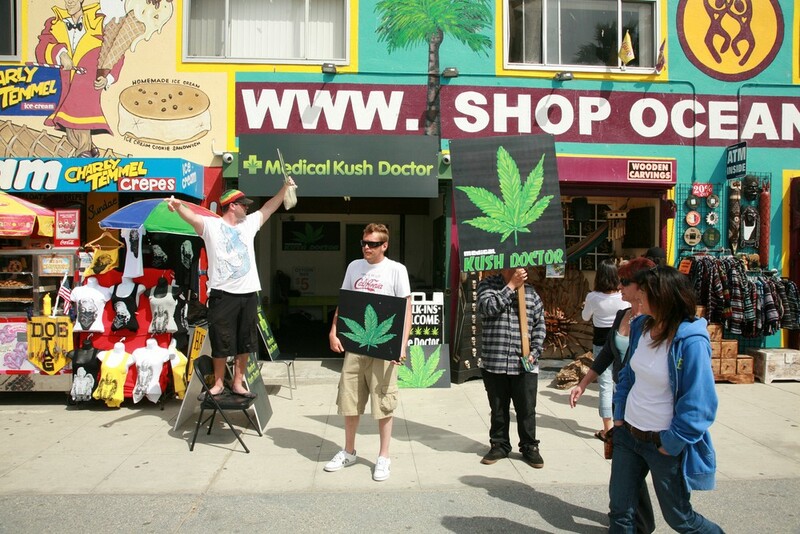 To make a long story short, they opened a few of their dispensaries. That evolved into a management company that now manages facilities for a fee at a percentage of the revenue. Last year, they also launched the investment arm. People often frame this discussion in a small business versus big business way, but I can tell you we’re not a big corporate company. We have our roots in a small company — we were 15 employees just a little over a year ago. We’ve grown, yes, but we’re not Anheuser-Busch; we’re not GE. Besides, the difference isn’t between big and small, the difference is between legal and illegal. If you want to stay in the illegal space, if you want to operate in the grey area, that’s one thing. If you want to operate in a regulated industry, that’s just the reality of life. It costs more than $150,000 to apply for a license in California — at the minimum. Then you have to buy land and have a conditional-use permit. You have to hire lawyers to figure out if the location you’re in is compliant with city ordinances. All of that costs money, too. Now, you can ask, “Is that fair for a small business owner if that person can’t pay?” But the answer is sadly, yes. Because as a consumer I want to make sure that whomever is selling me food has gone through inspections with the sanitary department so I can be assured I’m consuming a safe product. It doesn’t mean that the grandmother who’s making home-cooked meals in the kitchen is being unsafe, it just means it’s not commercial-grade level. Although I understand what Yi is talking about it in terms of standardizing the industry in order to ensure its maximum growth from a business perspective, a lot of the time when we talk about reforming marijuana in the U.S., we’re talking about ways of inviting people into cannabis culture that see the industry as comparable to the next tech boom, whose interest in weed doesn’t stem from any longtime medicinal or social habit or anti-prohibition politic, but rather economic gain in a phenomenon that some argue mirrors gentrification. And while Yi is right that it’s not all big business just yet, these weed companies with large VC backing are typically owned by white men who haven’t been unfairly victimized by the War on Drugs in the way black and brown men have. Last year, for instance, Buzzfeed reported that “about 1%” of American marijuana dispensaries are owned by black people. Gregory Minor is an Oakland native who works in the city administrator’s office dedicated to balancing out that statistic at the local level. Specifically, he’s focused on Oakland’s Equity Permit program, which although frequently referred to as a “reparations” program for the War on Drugs in the media, is more like an affirmative-action policy for the Oakland cannabis industry. And so, in Oakland, factors that may bar someone from obtaining a cannabis business license in places like Colorado, particularly having a drug-related felony on their record, could actually help an applicant. Minor: There were anecdotes that came out of Colorado about how African Americans who were caught with relatively small amounts of marijuana got charged with a felony, which precluded them from being part of the regulated market, while white individuals who had only gotten charged with misdemeanors got to be master growers. Simple things like that are examples of government policies that might have been well-intentioned, but they end up having negative effects. They particularly excluded black and Latino people with experience in the cannabis industry. In Oakland back in 2015, the city did a formal race and equity analysis of our regulations, and we agreed upon a goal of promoting a more equitable industry and building more opportunities for people of color, who have been disproportionately affected by the War on Drugs. We first looked at arrest data for the last 20 years that showed African Americans and Latinos bared the brunt of all cannabis enforcement, even though public-health studies show people use cannabis consistently across different racial groups. That’s why, in 2016, we passed an ordinance that established an equity program that required that half of all the [weed] permits go to people who are underrepresented in the industry. Equity applicants are basically defined as current Oakland residents with an annual income of less than 80 percent of the Oakland’s average median income [$52,962] and either have a cannabis conviction in Oakland or live in certain districts that feature disproportionally high amounts of cannabis arrests according to police records. We also created an equity-assistance program where cannabis tax revenues could help provide start-up and low interest loans for equity applicants. Another issue was that, in many cases, equity applicants didn’t have the necessary property to start their businesses. Since access to real estate could bar a lot of equity applicants from operating their businesses, we created another feature in which if a general applicant provides three years of free rent and related security measures to an equity applicant, that general applicant gets to skip ahead of other general applicants. That’s what we refer to as our incubator program. We had to create a whole new website, essentially like a dating website, where these people could partner up because they wouldn’t traditionally be talking to each other otherwise. It gave folks a place to demonstrate their experience and interest and let them network from there. This, of course, comes from the same guy who, when asked about the opiate crisis, gave the highly unoriginal advice, “say no to drug use,” despite the fact that drug overdoses are now the most common cause of death for Americans under 50. Not to mention, the rate of drug overdoses in America saw an unprecedented increase in 2016, up 19 percent from 2015 — a trend that’s likely to continue. All of which is to say, Sessions is ignoring the contemporary reality of American drug use in favor of touting antiquated abstinence-only policies from the 1980s. His lack of effective analysis, or even acknowledgement, of the overall drug climate in the U.S. today may be why Yi doesn’t expect the federal government to ultimately interfere with state’s rights. Yi: For one, public opinion nationwide is overwhelmingly in favor of legalization, and more than half the states have legalized marijuana in some form. The momentum is too big for any one person in the federal government to undo it. Congress has already protected state medical marijuana programs through the Rohrabacher Blumenauer Amendment, and we believe it will continue to do so. With eight states now having legalized adult use, including the entire West Coast, we believe it’s only a matter of time before Prohibition ends. In other words: During an era when MedMen and other multi-million dollar enterprises across the country aggressively seek legitimacy, they’re still stashing cash like the street dealers they’re quickly replacing. So while we know that the industry is expected to create more American jobs than manufacturing by 2024, employees within the industry are still being paid in cash as their employers seek out banks willing to work with them despite the “drug dealer” stigma. For Armentano, this scenario emphasizes how much work there is left to do around de-stigmatizing cannabis use, even in states that have passed medical or adult use laws. Armentano: The Attorney General has made it perfectly and publicly clear that if he were to have his way, he’d use the Justice Department to rollback a number of these statewide reforms. Right now, one of the only things that’s stopping him from doing so is a legislative budgetary provision that’s been in place since 2014. But that could expire in mid-January. Obviously then, one of our first priorities has been trying to convince Congress to re-authorize this provision, which says that the Justice Department cannot spend federal funds to prosecute individuals who are in compliance with their state medical marijuana law. That said, so many states now have some variation of medical marijuana — whether it’s a full-blown medical cannabis program or some sort of legislative exemption for CBD, or cannabidiol — that when you look at the totality of states, there’s almost none left. In fact, there are only four states that don’t have some sort of statutory regulation with regard to the medical use of either cannabis or CBD at this point. The question then becomes: Are we going to see more adult-use states? Or are we going to see a greater expansion or broadening of existing medical marijuana laws? I think we’re going to see both. We know, for instance, that Oklahoma is going to vote on a broad-based medical program initiative. It’s qualified for the ballot and will be voted on in 2018. There’s also a similar petition circulating in Utah that we fully expect will qualify for the ballot in 2018. In Missouri, we’re involved in a campaign to bring a medical marijuana initiative to the ballot. That again is very close with regard to the signature requirements needed. Michigan will vote on adult use in 2018. In Vermont, it’s likely statewide legislation will pass to decriminalize the possession and cultivation of marijuana for adults in the first few weeks of January. In New Jersey, the governor-elect has sworn that he’s going to foster adult-use regulation and retail sales within the first 100 days of his administration. This conversation is happening in Connecticut and Rhode Island, too. Still, none of this solves the banking problem, a situation that’s going to become intolerable when California begins to come on board with the retail cannabis market. We’re talking about a space that has the sixth largest economy in the world and the largest domestic economy surrounding cannabis. And yet, these state-licensed businesses aren’t going to be able to have relationships with financial institutions. They’re not going to be able to process credit cards. They’re not going to be able to take standard business deductions on their federal taxes. This is something only the federal government can change. Across the country, we also still need to address the issues of workplace discrimination — the idea that someone could be using marijuana at home and still lose their job for that use. We have to address things like child protection as well — this notion that because somebody is using cannabis, they can lose parental rights to their children. We also have to address healthcare reform in many jurisdictions — individuals who are using marijuana legally don’t get certain hospital services. For instance, they’ll be kicked off organ transplant lists because of their marijuana use. All of this can only be addressed once cannabis is no longer considered contraband at the federal level. The good thing is that the more Americans talk about marijuana, the more Americans are in favor of legalizing marijuana. But as Armentano emphasizes, there’s still a lot more education to be done before our national opinion on weed is based on science more so than it is Reefer Madness and “gateway drug” fears. The latter count is particularly egregious in light of recent research. So much so that Armentano considers weed the exact opposite — an exit drug. Experts concur that marijuana use isn’t linked to the use of other illicit substances and that in terms of order, more people experimented with alcohol or tobacco than weed before extending their drug use. Armentano: The reality from the available data indicates that the overwhelming majority of people who are exposed to cannabis don’t go on to use other illicit substances. In fact, by the time they get to about age 30, most cannabis users slow down or completely stop their use. Additionally, we see that Americans are substituting the use of cannabis in place of more dangerous substances — whether they’re illicit substances like cocaine or conventional prescription substances like opioids. We now have more than two dozen peer-reviewed scientific studies showing that where people have access to cannabis, their abuse of opioids decline. Hospitalizations due to the use of opioids decline. Traffic fatalities due to the use of opioids decline. And most importantly, mortality due to the use of opioids declines. While we’re on the subject of mortality, there’s no lethal dose of pot, which is why more and more researchers and therapists are thinking like Armentano and looking at cannabis as a potential tool within one’s recovery program instead of as contraband. Joe Schrank is a social worker and the program director of High Sobriety in L.A., the country’s first cannabis-inclusive addiction recovery center. (Prior to High Sobriety, Schrank worked as an in-patient therapist at rehab-center-to-the-stars Promises and created the first-transitional living facility in Williamsburg, Loft 107.) He agrees with Armentano in designating pot as an “exit drug” and advocates for replacing all of our weed stigma with science. High Sobriety opened in January, introducing patients to a rehab facility where, under the assistance of a doctor, they can use marijuana both during their detox and throughout the rest of the program, which otherwise consists of traditional therapy methods like individual and group counseling. This not only gets some patients to treatment who would otherwise be scared of a total detox, it also provides an alternative to the abstinence-only 12-step programs that so often alienate and shame anyone unable to maintain 100 percent substance-free sobriety. And while Schrank says alcoholics and opiate addicts have had the most success in High Sobriety’s program so far, a study published in the journal Addictive Behaviors found that, in clinical settings, marijuana reduced cravings for crack cocaine as well. Those large, abstinence-only rehab systems don’t report about how ineffective they are. None of them say, “You have an 8 percent chance of success.” Nobody says, “We fail 92 percent of the time.” I’ve spent a lot of time working in those sort of programs and I’m like, “Eh, it doesn’t really work.” It worked for me; it got me sober. But I see myself as being part of the lucky silo of people who AA and abstinence programs work for. I’m not the norm. Along the same lines, in a cannabis-inclusive rehab like ours, detox isn’t going to be torture. Some people will say, “They need to feel their pain through detox, so they don’t do it again.” But I don’t know about that. Do obese people need to be in pain? No. If they’ve had a heart attack, we give them drugs so they’re comfortable. We don’t make them sit in it. Overall, we see a lot of improvement. People who give up heroin for medicinally dispensed cannabis can go back to school. They can get a job. They can be self-reliant. They can have an apartment. There’s a bunch of different things they can do that they can’t do when they’re impaired by heroin — or alcohol. For instance, we had a man in his 70s who warned us he wasn’t a “damn hippie” but went from abusing bourbon to using a weed vaporizer pen. He’s lost 20 pounds and has been off booze since he started with us. From the top-down, our drug policy is flawed. We should be putting all of our resources into heroin, meth, prescription drug abuse and alcohol, not weed. People know that. Let’s be honest about alcohol and its many, many dangers, and let’s be honest about cannabis. Cannabis isn’t a gateway drug, alcohol is. We talk so much about the opiate crisis these days, but alcohol still kills more people than opiates every year. We’re talking about 88,000 alcohol-related deaths every year. There’s no comparison between using alcohol as your party thing or using cannabis as your party thing. There’s a clear choice in terms of your health and safety and the community’s health and safety. Nor are Americans giving up intoxication any more than they’re giving up Cheetos or guns. It’s here, and it’s not going anywhere. A drug-free America is fantasy. But how can we reframe our thinking about drugs so that they’re safer? I’m not saying cannabis is a universal solution, but for some people, it’s a tremendous help. Those of us who work with people dependent on opiates see the hopelessness that comes from repeated failures to live up to the mantra of sobriety touted by the treatment centers they access. We also see the myriad of pharmaceutical drugs being given to those treating trauma with substances, including anti-psychotic, anti-depressant and anti-anxiety medication. To embrace that protocol while brushing off the use of a therapeutic plant to address a very real life and death situation is inhumane. It is also important to draw a distinction between causal cannabis use by someone who is in treatment or recovery and using cannabis as a withdrawal medication to prevent relapse and potential fatality. We must stop allowing orchestrated fears about cannabis get in the way of what could be a lifesaver for so many struggling with alcohol and opiates, and for their families, who would rather they use cannabis and live to work through their underlying issues, than be held to abstinence and die feeling as though they have failed. Christopher Glazek is the journalist behind the recent Esquire piece, “The Secretive Family Making Billions Off the Opiate Crisis,” which reveals how the secretive Sackler family, owners of the company that invented Oxycontin, continue to downplay the risks of its addictiveness and exploited doctors’ confusion over the drug’s strength in order to turn profits. I recently talked to Glazek about how a single family is responsible for the American Oxycontin epidemic as we know it today. Glazek: When we talk about public-health crises, we normally attribute them to large, personal, historical forces that have complex roots, and once they get going, it’s hard to stop them and understand where they come from. And certainly when we’re talking about drug epidemics, there’s often a temptation to look to major drug traffickers like Pablo Escobar or El Chapo. Some people want to say the Sacklers are the American version of that. In the context of the opioid epidemic, Purdue, their company, is always trying to say, “We’re such a small part in the market, it’s really all these other people.” They’re very good at deflecting blame. What they’ve done is deflected blame firstly to addicts. They say, “We had this amazing drug, and then these white trash hillbillies ruined it.” People I’ve talked to from Purdue are always in awe at the diabolical genius of the addict, and how you try to make it tamper-resistant, but they’ll always find a way to get around it. So there’s nothing you can do because they’re so determined to hurt themselves. Next, they’ll blame the doctors. They’ll say, “These doctors shouldn’t have been prescribing to these people that presented with these signs of addiction.” After that, they’ll say, “There’s always these crooked pharmacies that are participating in black-market activities or drug diversion.” Then there’s other villains different people might point to: They’d say the distributors should’ve known better than to ship these large shipments of opioids to small towns in West Virginia, where the population couldn’t possibly support all those pills. But the ones who really had the most comprehensive aerial view of what was going on was the manufacturer. They knew down to the prescription level where the pills were going, because they paid a lot of money to get this information. They even kept a list internally of doctors suspected of running pill mills, and they didn’t share it with law enforcement for many years. You also look at who’s profiting the most from this, and the profits are heavily concentrated at the beginning of the chain—it’s the manufacturer who owns the patents. It’s also unfortunately, a story we’ve seen before. Glazek: Heroin was originally a pharmaceutical, and so, the history of opioids is always the history of the creation of a new opioid that’s supposed to finally be the non-addictive version. Morphine was supposed to be a non-addictive opium. Then heroin was supposed to be a non-addictive morphine. Then oxycodone, which was released in the 1920s, was supposed to be a non-addictive heroin. Then there’s methadone. Yet, they’re all addictive, and they’re all addictive in pretty much the same way. When it comes to the Sacklers, what’s particularly important is that Arthur Sackler devised the marketing strategy back in the 1960s for Valium. That was the family’s first large influx of cash. He made Valium the most widely prescribed drug in the world, and it became the first drug to achieve more than $100 million in sales, in large part because of Arthur’s advertising strategy for it. The strategy for Oxycontin was similar. There had already been this other drug on the market, Librium, which was narrowly targeted to a small group of patients. Arthur’s idea was — why don’t we take this substance, this benzo, and market it to a huge universe of patients for every kind of conceivable malady? Everything from toothaches to migraines to menstrual cramps. This despite the fact that it’s stronger than morphine. But as reported in one of the L.A. Times stories that inspired Glazek’s reporting for Esquire, “prescriptions for Oxycontin have fallen nearly 40 percent since 2010,” forcing Purdue and its affiliates to pursue patients on different continents despite its reputation for criminally marketing Oxy to people who didn’t need it. Glazek: It’s similar to what happened with tobacco in the 1990s. As tobacco companies encountered more and more regulatory and media problems in the West, they took their show on the road and concentrated on developing a foreign market. That’s a common strategy for peddlers of dangerous substances. The company continues to bring Oxycontin to the international market by promoting the prevalence of chronic pain, so in Colombia, for example, they released a study saying that more than 40 percent of their population suffers from chronic pain. Although Sessions vows the country’s opiate problem is a big priority for President Trump — probably because more white Americans are dying from opiate addiction than any other race or ethnic group — Glazek expects the actual policy to be regressive, to say the least. Glazek: There’s risks they’re going to borrow from their old playbook from the “crack days” of going on a crazy law-enforcement binge and focusing a lot on cross-border issues that aren’t that important. Luckily, there’s a lot of recognition in Congress that the War on Drugs has failed. That’s a popular perspective among certain groups of both conservatives and liberals. Unfortunately, it’s not popular in the inner-circle of Jeff Sessions. Sessions — and Trump as well — has pretty atavistic, brutal instincts about how to combat the spread of addiction, and so, there’s a lot of risk they’re going to take the wrong approach. The obvious next question is similar to the discussion around weed and opiate addiction: Is there a better way to treat anxiety and depression than with highly addictive medications like Xanax and Prozac? Glazek: Certainly mainstream antidepressants have a complex and not super impressive record of effectively treating depression. It’s really, really important to understand that the suicide rate hasn’t declined in recent years — quite the opposite. This is like over a 30-year period where the number of people on antidepressants has skyrocketed. So you’d expect that if they really worked, you’d see some sort of decline in the suicide rate. Instead, we’ve seen it go up. That’s a devastating data point for prescription antidepressants and suggests a wide-ranging failure. It also suggests that we should be experimenting more with alternatives. Alternatives like ketamine, which was first conceived in 1962 as a replacement for PCP, a commonly used anesthetic until its side effects proved psychotic. Like PCP, however, “Special K” is often associated with its recreational reputation (namely, K-holes, orgies and music festivals — usually all at the same time) more than its medicinal purpose (chiefly, reversing serious mood disorders such as suicidal thinking). But at least one doctor is attempting to change that perception. At Ketamine Clinics Los Angeles, Steven Mandel performs intravenous ketamine infusions for depression-related mood disorders. As Mandel emphasizes, context is everything when it comes to safe ketamine use. And while this doesn’t necessarily mean recreational use is less effective, it does mean that under his care, there’s a nurse watching you through a live monitor at all times, creating a medicalized experience in which people are looking to heal, not simply get high. Interested to see if it could help with the depression that lurks in my DNA, I went to Mandel this fall for two ketamine infusions in the space of 72 hours. While I couldn’t complete the treatment due to its intensity — the standard treatment plan is six sessions — I understand why someone would. This dichotomy is probably best explained by 42-year-old artist Alicia McDaid, who I interviewed while reporting on Mandel’s clinic and who turned her recreational use of ketamine into her own regimen to deal with depression. McDaid: As soon as I heard about the clinical trials of ketamine regarding depression, I wanted to try it. I remember learning about ketamine from friends in London in the 1990s, but I never did it. And when I started talking about potentially using it for depression, a lot of friends tried to scare me off. I also felt hesitant to buy some from a dealer, knowing that what I got would obviously be different than the clinical trials. But in the end, I’m glad I tried it and would enthusiastically recommend it to anyone who feels hopeless about finding relief. I’ve had many profound experiences on it, during which I cried hysterically about family stuff and was able to work through abuse stuff related to my ex-husband in a different way. At this point in my life, I’ve had mixed experiences with therapy, so while I still have some of those processing tools in my toolbox, I liked not having to rely on someone else to guide me through my experience. Similarly, the antidepressants I’ve been on over the years — Wellbutrin, Lexapro, Celexa, Prozac and Zoloft — have always felt like putting on a Band-Aid. Ketamine, on the other hand, provides a hallucinogenic, trance-like effect that enables me to deal with my life trauma in a way I’d never been able to before. Moreover, when thoughts and emotions I usually can’t deal with come up on ketamine, I feel safe to dive in and deal with them in a way that feels meaningful (and not necessarily linear). I did, however, stop using K regularly after some lapses in judgement and a weird rash (which may have been unrelated), but I’ve recently begun doing some again. In particular, I woke up at 5:45 a.m. not that long ago and didn’t want to get out of bed. That seemed like as good a time as any to journey.